TECE has redesigned the shower-WC concept and reduced it to the essentials. TECEone dispenses with electrical gadgets such as heated seats or dryers, and instead offers pure hygiene. The required hot water comes directly from the pipeline without tank or water heater. 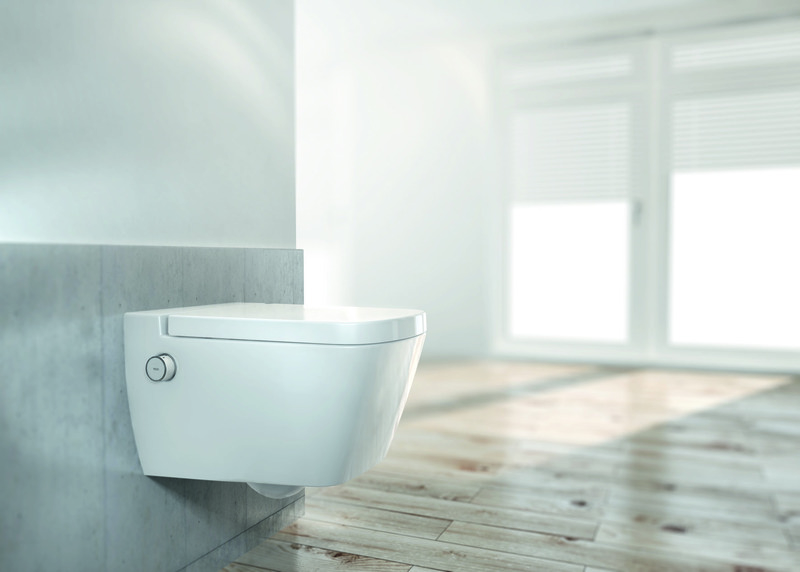 An intuitive control knob, which regulates the water volume and the water temperature, is located on the left and right of the flush-rimless ceramic. The shower rod moves into position by water pressure alone. And the whole thing there is obendrein in a price class, the end customers not frightened.